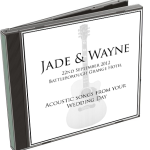 I’ve just launched a new product, available to all my wedding couples – personalised CDs featuring all the acoustic songs I played at your wedding. I wanted to make this a nice gift idea so I put time into designing the sleeves and getting the CDs printed, as well as recording the audio professionally. 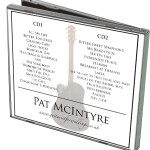 Click here for more information if you’re interested in ordering… makes a great birthday present idea!